CEO'S require new thinking pattern . Your Company Can Deliver, but Can It Discover? 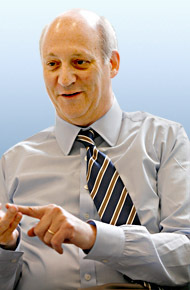 Ronald M. Shaich, founder, chairman and co-C.E.O. of Panera Bread, says companies often err by letting their “delivery muscle” — how they get their work done — become stronger than the “discovery muscle” that brings innovation. Q. How has your leadership style evolved? A. When I started out, I think I was like many people in that I was focused on the profit as the end. I spent a lot of time around the numbers, and that phase probably lasted for five or 10 years. From there, I began to realize that the numbers that came out the back end were a byproduct. So I entered a phase where the driving force of how I spent my time was on key initiatives. I would sit down at the beginning of each year — and I did this for my life, too — and figure out what I’m going to get done in the next year. In the last 10 years, I have found myself spending more time on the people, because oftentimes people — how they are organized and work together — are what ultimately drive your ability to meet those key initiatives. Q. What are some things you’ve done to maintain your culture as you’ve grown? A. We wrote our “official” cultural values document long after the culture had already taken hold. And we wrote them not to put them up on the wall in the back office, but to codify the ways we wanted to relate with each other. Q. What are some examples? A. One of them is no jerks. It started as something more precise, but it was sanitized by our human resources people along the way. I wanted to create the kind of organization that I would want my kids to work for. It’s a standard I use, and that means no jerks. Another precept we spend a lot of time talking about is that we do the tough stuff with optimism and mastery. In our kind of industry, it’s always easy to follow the conventional wisdom. But I like things that are difficult because when they are difficult, we can solve them. We can simplify them and come up with the right answer, creating a competitive advantage. If something is simple in my industry, then anybody can do it. So I like things that are more difficult. That’s where we play. Q. Other approaches to culture? A. We have not fallen prey to what happens in so many large companies: they let their “delivery muscle” — in effect, how they get work done — completely outweigh the “discovery muscle” of trying to innovate and find new ways of doing things. The delivery muscle, of course, feels rational, people feel much safer with it, and you can analyze it. It’s driven by market research that tells me what I can count on, and it’s very good for incremental change. But when you are talking about companies that find new patterns, that have discovery, it’s about leaps of faith. It’s about trusting yourself. It’s about innovation. It’s about believing you can figure out where the world is going and that you will get there, and then saying we are going to go left and not right. The decisions are not necessarily rational or easy to defend. Even so, you need to take that approach. And, by the way, you’ve got to be right. It’s not enough to just talk this way, because your credibility matters. I would say that the driving force of this company is that our discovery arm is every bit as strong as, or stronger than, our delivery arm. Another problem with focusing on delivery is that people start seeing the business only through their functional perspective. Then you see what ends up happening: nobody owns the whole. I am always blown away by the fact that in some organizations, everybody can say no and nobody can say yes. Saying yes takes a leap of faith. Q. Let’s shift to hiring. A. My interviews are pretty patterned. I usually start by trying to relax the whole process because there usually are all kinds of cultural Kabuki dances that go on. With that kind of process of shared exploration, people feel relieved by it in a very real way. It’s really an exploration of where your life is coming from and where it’s going. I’m trying to look for those longer patterns — where are you going, and what do you do, and how do you think and what do you care about. In the same way, I’m trying to think about Panera in that sense and match them up. I’m trying to understand what makes you tick. And how, when you are faced with different circumstances, you are going to think. Q. What is some advice you would give to graduating business school students? A. My general approach to most things in life is to approach them like body surfing. You have to pick the wave you’re going to go on, but you can’t assume you can figure it all out. You have to work with it. So it’s somewhere between a very directed kind of existence and a very roll-with-it kind of existence. I’m pretty reflective, so I’m constantly asking about everything — what works and what doesn’t. I also think that a key to running a business, to running your life, is ultimately trying to figure out where you want to be in three years, five years, 10 years, and figure out what the headlines are going to be at that point, and then what steps are needed to get you there.